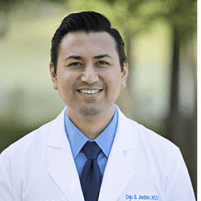 If you’re one of the 3 million people in the United States who have glaucoma, Dr. Dip Jadav may have the solution you need to manage the condition and prevent vision loss. At Outlook Eye & Laser Center, Dr. Jadav offers people in and around Sugar Land, Texas, advanced surgical procedures, including laser surgery, to treat glaucoma effectively. Schedule a consultation online or by phone to find out more about available treatment options. Glaucoma is a group of diseases that damage your optic nerve. The condition can lessen your vision or even leave you blind. With early detection, Dr. Jadav can in many cases effectively treat your eyes and prevent vision loss. The primary factor in developing glaucoma is increased pressure in your eye that damages the optic nerve. In healthy eyes, a clear fluid flows through the anterior chamber to provide moisture and nourishment to your eye. The fluid then travels out of the eye and drains out of a spongy meshwork. When the fluid is unable to drain or moves too slowly through the drain, it can build up and increase the pressure inside your eye. This increased pressure can result in optic nerve damage. Glaucoma can also be the result of hypertension, or high blood pressure. Initially, glaucoma has no symptoms. Your vision remains normal even with elevated pressure in your eye. Without treatment, glaucoma can progress, and you gradually lose your peripheral vision. You may feel as though you’re looking through a tunnel. Over time, your central vision decreases until you are no longer able to see at all. Dr. Jadav can perform a comprehensive eye exam, first dilating your eyes to see further inside your eye. He places drops in your eyes that widen your pupils, and then he uses a magnifying lens to check the health of your retina and optic nerve. To check the pressure in your eye, Dr. Jadav uses a tonometry test. Dr. Jadav can treat glaucoma, but there is no cure. Any vision you lose can’t be restored, so it’s important to have your eyes checked regularly to ensure an early diagnosis. Treatments for glaucoma may include prescription eye drops to decrease pressure in your eye. Dr. Jadav may also prescribe oral medications to lower your eye’s fluid production. He might also recommend laser surgery to drain excess fluid from your eye. Conventional surgery is another option to improve fluid drainage. To learn more about treating glaucoma, schedule an appointment online or by calling the office.